QUEENS PARK – Minister Greg Rickford, Ontario’s Minister of Energy is questioned at Queen’s Park over the efforts of the Ford Government in reducing the price of gasoline. Minister Rickford has contacted the Competition Bureau over the cost of gasoline in Northern Ontario. 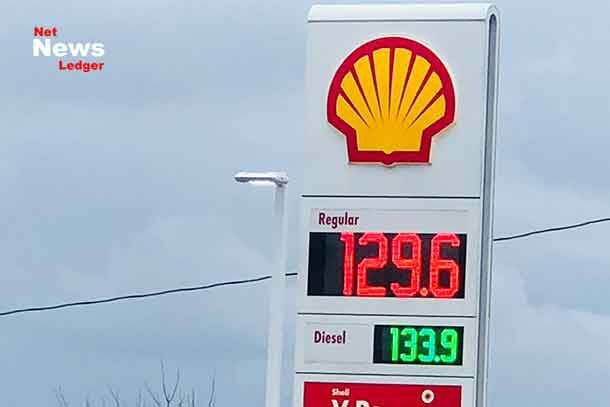 Rickford says that prices in Northwestern Ontario have remained high despite the cuts to gasoline taxes put in place by the Ford Government. “Our Government for the People has followed through and taken steps to cut gas prices in Ontario. Now we need to make sure those savings are being passed on to consumers across the province,” said Minister Rickford. The government eliminated the cap-and-trade carbon tax of 4.3 cents per litre off the wholesale price of gasoline and 5.0 cents per litre off the wholesale price of diesel fuel. Earlier this September, wholesalers began removing these costs from their prices and in most markets across Ontario, retail prices have decreased with this change. However, in northwestern Ontario, particularly in Kenora, Fort Frances, Dryden and Thunder Bay, these savings do not appear to have been shared with consumers. The price of a litre of gas in Thunder Bay today is $1.29.9 per litre. The Ford Government is opposing the Federal Government’s Carbon Tax. When it file dits factum with the Court of Appeal on November 30th, 2018, the province will set out the arguments it is making to challenge the constitutionality of the federal government’s Greenhouse Gas Pollution Pricing Act (the carbon tax). Ontario is arguing that the provinces, not the federal government, have the primary responsibility to regulate greenhouse gas emissions and that the charges the act seeks to impose are in fact unconstitutional disguised taxation.